Trade Paper • ISBN-13:9781608466047• US $16 • 5.5 in x 8.5 in • 250 pgs. 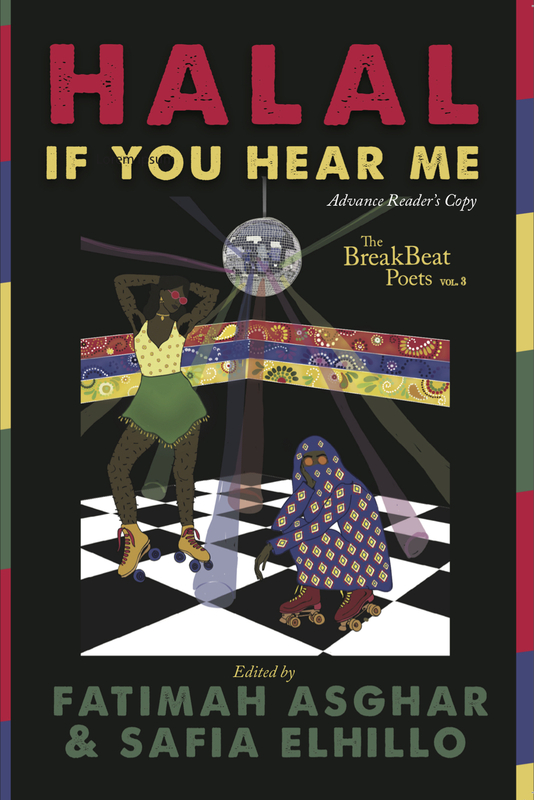 Halal If You Hear Me: The BreakBeat Poets Vol. 3 is an anthology to highlight the work of Muslim writers who are women, trans, queer and gender nonconforming. The collected poems dispel the notion that there is one correct way to be a Muslim, holds space for our multiple intersecting identities, and to celebrate and protect those identities. Safia Elhillo is the author of The January Children (University of Nebraska Press, 2017), recipient of the 2016 Sillerman First Book Prize for African Poets. Sudanese by way of Washington, DC, she is a 2016 Pushcart Prize nomine, co-winner of the 2015 Brunel International African Poetry Prize, and listed in Forbes Africa’s 2018 “30 Under 30.” Her fellowships and residencies include Cave Canem, The Conversation, and SPACE on Ryder Farm. Her work appears in POETRY Magazine, Callaloo, and The Academy of American Poets’ Poem-a-day series, among others, and in anthologies including The BreakBeat Poets: New American Poetry in the Age of Hip-Hop and Women of Resistance: Poems for a New Feminism. Poet, screenwriter, educator, and performer Fatimah Asghar is a Pakistani, Kashmiri, Muslim American writer. Fatimah Asghar is the author of the poetry collection If They Should Come for Us (One World/Random House, forthcoming 2018) and the chapbook After (Yes Yes Books, 2015). She is also the writer and co-creator of the Emmy-nominated Brown Girls, a web series that highlights friendships between women of color. Her work has been featured on news outlets such as PBS, NPR, Time, Teen Vogue, Huffington Post, and others.